KDJS-AM, KDJS-FM, and KRVY-FM based out of Willmar and serving 12 Counties in West Central Minnesota, is a prominent part of family-owned Ingstad Media with locations throughout Minnesota. With the latest in digital technology through our online streaming, mobile apps, web site and social media, we can go where you are Worldwide. We are proud of our many local affiliations, as well as the network affiliations bringing you the latest in News, Weather, Sports, entertainment, and Music you want to hear. 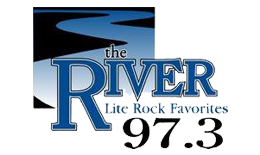 “The River” is your source for Lite Rock favorites from the 70’s to today. This 50,000 watt, 24 hour a day station has been entertaining listeners from Willmar to Alexandria area since 1997. “The River” is a station for the entire family as parents and the children can agree on the music. Evening Minnesota Twins games and Gopher basketball games along with MACCRAY(Maynard/ClaraCity/Raymond)high school football, boys and girls basketball, baseball and softball games are all featured on “The River”. 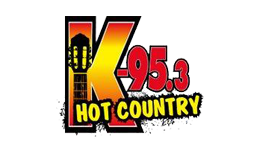 “Hot Country” K95.3 is a 24-hour 50,000 watt station that is on the cutting edge of what is happening in today’s country music world. This is where you can hear the new county first and listen longer because ”Hot Country doesn’t over play current hits. Short morning news and sports updates along with one minute Brownfield market updates. Limited commercial availability, ensure that the music keeps flowing and advertising messages stand out. KDJS-FM a listener favorite since 1993. This 1,000 watt, 24-hour station hit the airwaves in 1981. 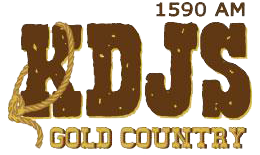 “Gold Country” 1590 KDJS features one of the largest radio music library’s in the country with nearly 3000 top 10 country hits from the 50’s through the 90’s. Listeners also enjoy the Rush Limbaugh show live daily from 11am – 2pm. KDJS is also home to the MN Twins, Mn Gopher football and Basketball, as well as airing Play by Play action for RCW(Renville County West) sports. And we cover the Agricultural world with programs and Market Updates from Brownfield. Thanks for your interest in our stations. Ingstad Media is a media, entertainment, and digital marketing services company that owns and operates small market radio stations in rural Minnesota.